Buenos Aires is the capital and most populous city of Argentina. The city is located on the western shore of the estuary of the Río de la Plata, on the South American continent’s southeastern coast. «Buenos aires» can be translated as «fair winds» or «good airs», but the first one was the meaning intended by the founders in the 16th century, by the use of the original name «Real de Nuestra Señora Santa María del Buen Ayre». The Greater Buenos Aires conurbation, which also includes several Buenos Aires Province districts, constitutes the fourth-most populous metropolitan area in the Americas, with a population of around 17 million. The city of Buenos Aires is neither part of Buenos Aires Province nor the Province’s capital; rather, it is an autonomous district. In 1880, after decades of political infighting, Buenos Aires was federalized and removed from Buenos Aires Province. The city limits were enlarged to include the towns of Belgrano and Flores; both are now neighborhoods of the city. The 1994 constitutional amendment granted the city autonomy, hence its formal name: Ciudad Autónoma de Buenos Aires. Its citizens first elected a chief of government in 1996; previously, the mayor was directly appointed by the President of the Republic. Buenos Aires is considered an ‘alpha city’ by the study GaWC5. 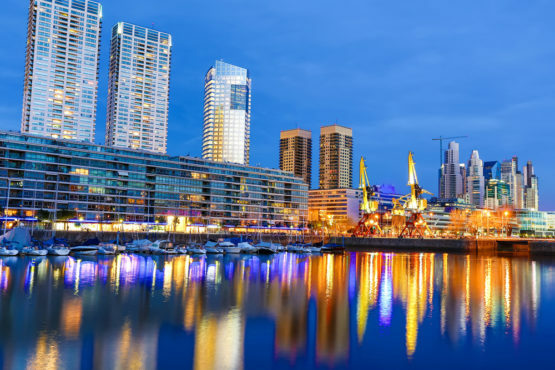 Buenos Aires’ quality of life was ranked 81st in the world and one of the best in Latin America in 2012, with its per capita income among the three highest in the region. It is the most visited city in South America, and the second-most visited city of Latin America. It is recorded under the archives of Aragonese that Catalan missionaries and Jesuits arriving in Cagliari under the Spanish Crown, after its capture from the Pisans in 1324 established their headquarters on top of a hill that overlooked the city. The hill was known to them as Buen Ayre, as it was free of the foul smell prevalent in the old city, which is adjacent to swampland. During the siege of Cagliari, the Aragonese built a sanctuary to the Virgin Mary on top of the hill. In 1335, King Alfonso the Gentle donated the church to the Mercedarians, who built an abbey that stands to this day. In the years after that, a story circulated, claiming that a statue of the Virgin Mary was retrieved from the sea after it miraculously helped to calm a storm in the Mediterranean Sea. The statue was placed in the abbey. Spanish sailors, especially Andalusians, venerated this image and frequently invoked the «Fair Winds» to aid them in their navigation and prevent shipwrecks. A sanctuary to the Virgin of Buen Ayre would be later erected in Seville. In the first foundation of Buenos Aires, Spanish sailors arrived thankfully in the River de la Plata by the blessings of the «Santa Maria de los Buenos Aires», the «Holy Virgin Mary of the Good Winds» who was said to have given them the good winds to reach the coast of what is today the modern city of Buenos Aires. Pedro de Mendoza called the city «Holy Mary of the Fair Winds», a name suggested by the chaplain of Mendoza’s expedition – a devotee of the Virgin of Buen Ayre – after the Sardinian «Madonna de Bonaria». Mendoza’s settlement soon came under attack by indigenous people, and was abandoned in 1541. A second (and permanent) settlement was established in 1580 by Juan de Garay, who sailed down the Paraná River from Asunción. Garay preserved the name originally chosen by Mendoza, calling the city Ciudad de la Santísima Trinidad y Puerto de Santa María del Buen Aire. The short form «Buenos Aires» became the common usage during the 17th century. The usual abbreviation for Buenos Aires in Spanish is Bs.As. While «BA» is used more by expats residing in the city, the locals more often use the abbreviation «Baires», in one word. Strongly influenced by European culture, Buenos Aires is sometimes referred to as the «Paris of South America». The city has the busiest live theatre industry in Latin America, with scores of theaters and productions. In fact, every weekend, there are about 300 active theatres with plays, a number that places the city as 1st worldwide, more than either London, New York or Paris, cultural Meccas in themselves. The number of cultural festivals with more than 10 sites and 5 years of existence also places the city as 2nd worldwide, after Edinburgh. The Kirchner Cultural Centre located in Buenos Aires, is the largest of Latin America, and the third worldwide. 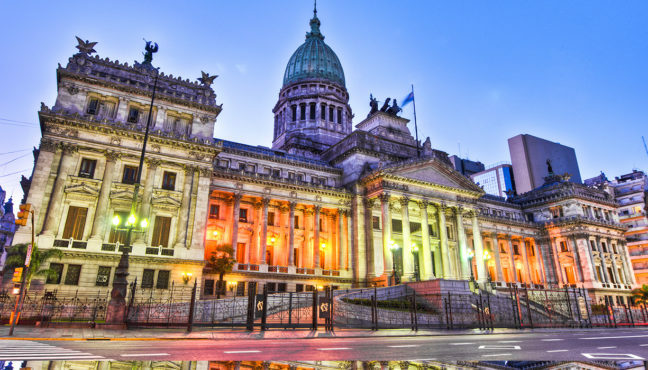 Buenos Aires is the home of the Teatro Colón, an internationally rated opera house. There are several symphony orchestras and choral societies. The city has numerous museums related to history, fine arts, modern arts, decorative arts, popular arts, sacred art, arts and crafts, theatre and popular music, as well as the preserved homes of noted art collectors, writers, composers and artists. The city is home to hundreds of bookstores, public libraries and cultural associations, as well as the largest concentration of active theatres in Latin America. It has a world-famous zoo and botanical garden, a large number of landscaped parks and squares, as well as churches and places of worship of many denominations, many of which are architecturally noteworthy.